News stations have recently reported that Kanye West was rushed to a hospital in Australia during his recent tour due to an intense migraine. 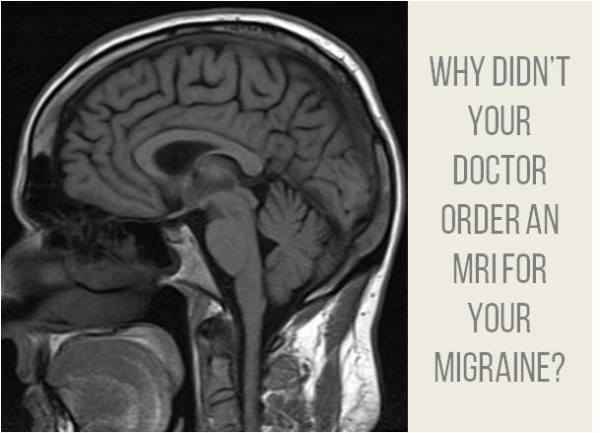 If you suffer from migraines, you may be asking yourself why your doctor didn’t recommend an MRI. While there is a chance that Kanye’s doctor, like many of us, may have just been plain curious about what is going on in his head, but since an MRI scan is not able to diagnose migraines, cluster or tension headaches, it’s more likely that he is either suffering from chronic headaches or they were trying to rule out another medical condition. Migraine pain is caused by an interaction between the brain and blood vessels and it is not possible for an imaging study to show this happening or taking place in the brain. An MRI image of a person suffering a migraine or headache will actually look like a person who does not have any headache at all. So when an MRI is ordered for a migraine, the test is most likely trying to make sure that there is nothing dangerous causing the intense headache. Again, an MRI is not the standard test for a headache or migraine, but is an excellent test for a patient whose physician would like to know more about the cause of headache or is concerned about their neurological symptoms. If you are suffering from headaches or other neurological symptoms and your doctor recommends a brain MRI, you’ll want to consider an MRI facility, like Shields MRI, that offers a 1.5T MRI machine and specializes in brain MRI. To find a Shields MRI near you, click here.